While the rest of the country was busing talking about North Korea, the NFL and the Warriors (of course), Barack Obama was spotted hanging out in San Francisco. While the rest of the country was busing talking about North Korea, the NFL and the Warriors on Thursday, Barack Obama was spotted hanging out in San Francisco. Obama was visiting the offices of Airbnb to meet with the company's CEO Brian Chesky, whom he had named a Presidential Ambassador for Global Entrepreneurship in 2015. "Airbnb CEO Brian Chesky invited President Obama to participate in a discussion at Airbnb headquarters earlier today. President Obama and Brian have a relationship going back to 2015, when Brian was named a Presidential Ambassador for Global Entrepreneurship." At first there were reports of the former president — who just signed a deal with Los Gatos-based Netflix along with former first lady Michelle Obama to produce shows — coming out of the Adobe office in the SoMa, but it turns out he was actually at Airbnb. Adobe employees tweeted that they saw him at the Airbnb building across the street. Tamara Aparton, spokesperson for the San Francisco Public Defender's office, posted a photo of him. Obama apparently even said something on the lines of: "get back to work." Obama apparently also played a round of golf while he was in the city. According to Sacramento Kings senior director of media relations John Jacobs, Kings owner Vivek Ranadive played golf Friday with Obama at the San Francisco Golf Club. Here's a photo Ranadive tweeted Friday morning. Anybody else catch a glimpse of him? Tweet us at @nbcbayarea and let us know. Editor's note: This story has been updated to include a comment from Airbnb. 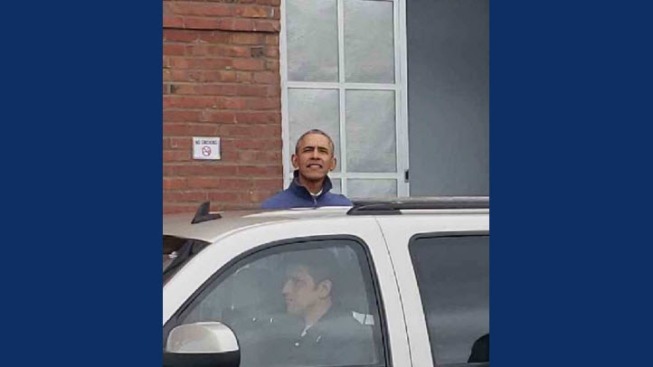 My girlfriend works at Airbnb apparently Obama is on campus. THIS IS NOT A DRILL!! !